Dr. Gonzalez-Aguirre accepts the following list of insurance providers. Select your insurance provider to see more details. I am an interventional radiologist who specializes in using minimally invasive tools such as CT, MRI, ultrasound, and fluoroscopy to diagnose and treat oncologic diseases. I work closely with clinical oncologists, radiation oncologists, and surgeons to help people with cancer in many stages of their care, from establishing a diagnosis, to delivering local treatments designed to destroy tumors while sparring normal tissues and allowing for a rapid recovery. Other common minimally invasive interventions that I perform include vascular access for patients that require chronic treatments; drain placements to alleviate symptoms associated with fluid buildup in the chest and abdomen; and stent placement to relieve obstructions in vascular structures and bile ducts. Before joining Memorial Sloan Kettering in 2014 I worked as an interventional radiologist at top academic institutions in Mexico City for four years. 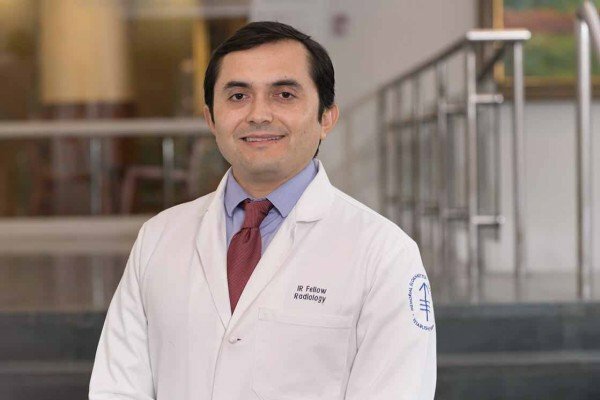 I joined MSK as a fellow because of my continued desire to excel in cancer clinical care and research. At the end of my interventional oncology training I joined MSK’s Interventional Radiology Service to be part of the team taking care of children and adults with cancer. My clinical research is focused on evaluating the results of locoregional treatments (ablation and embolization) and improving these techniques. Visit PubMed for a full listing of Dr. Gonzalez-Aguirre’s journal articles. Pubmed is an online index of research papers and other articles from the US National Library of Medicine and the National Institutes of Health.